Semi-finalist in International Songwriters Competition with his tune: Just Use Your Finger. Country music with a humorous twist. Who can resist: Mine Is Bigger Than Yours or the Old Biker Blues. 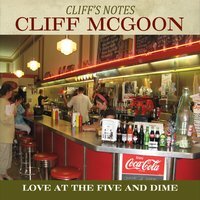 On this--Cliff McGoon's 5th album--is a mix of funny, sweet love and country rock.